Disruptive, loud, obnoxious and proud of it, Anarchist E-Liquid doesn't hold back in delivering some of the freshest, newest flavours on the market. With the punk spirit of a resistance movement embedded with the brand, Anarchist looks to inspire a deeply-held love of vaping into a new realm of possibilities thanks to their ceaseless innovation and glorious juices. 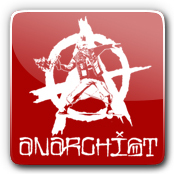 Redjuice proudly display this fighting spirit and juicy excellence by offering all of Anarchist's top products for those curious to see what all the fuss is about. Their flavours are shrouded in mystery - simply designated by colour - but behind these names lurks revolutionary flavours you're bound to love. Bestselling Blue conjures up the blue slurping goodness of a slush-lovers out there, while White delights in extracting satisfying marshmallow subtlety into a fine, well-balanced juice for all seasons and tastes. Available in 10ml and 25ml & 100ml short fill bottles - Anarchist caters to all vapers. Redjuice recognises that customers looking to buy Anarchist juices are searching for value and speed of delivery, which is why you'll find competitive prices and same-day dispatch when you order your gorgeously-flavoured liquids direct from our website. Order over £30 for free delivery. Mango by Anarchist eLiquid | 100ml Short Fill - The tropical sensation that is ripe mangos, for the inner Anarchist in you! Black by Anarchist eLiquid | 25ml & 100ml Short Fill - Cupcakes might not exactly be the most "punk" things in the world, but even an anarchist needs to satisfy his or her sweet tooth once in a while. Black by Anarchist is a cupcake -- we'll call it a black cupcake -- with toppings of fruity cereal, frosted flakes and plenty of vanilla buttercream frosting. Blue by Anarchist eLiquid | 25ml & 100ml Short Fill - We saw an anarchist at a slushie machine the other day. "All Im doing right now is serving the establishment," he said. In the end, though, the allure of the blue raspberry flavour was too great to overcome. Blue by Anarchist is an e-liquid chronicling that experience. Green by Anarchist eLiquid | 25ml & 100ml Short Fill - Smooth cookie butter mixed with sweet apple jam? Sign us up! Green by Anarchist is an apple e-liquid unlike any other, and it's a vape juice very deserving of the fame it's earned throughout the industry. Pink by Anarchist eLiquid | 25ml & 100ml Short Fill - Never settle for yellow lemonade -- stick it to the man and demand nothing less than the pink lemonade that you deserve! Pink by Anarchist is a tart, refreshing pink lemonade e-liquid that'll make your inner anarchist smile every time. Purple by Anarchist eLiquid | 25ml & 100ml Short Fill - Purple bubblegum. No, it isn't very metal -- and it's definitely not punk -- but it sure is tasty. Do you feel like indulging your craving for grape gum? Pick up a bottle of Purple by Anarchist. The rest of us anarchists promise to look the other way. Red by Anarchist eLiquid | 25ml & 100ml Short Fill - Let's all eat some strawberry hard candy and stick it to the man! Red by Anarchist is the strawberry e-liquid of your dreams; grab a bottle now if you love e-liquids that capture hard candy flavours. Watermelon by Anarchist eLiquid | 25ml & 100ml Short Fill - A soft, juicy watermelon taffy enrobed in a shell of hard candy, Watermelon by Anarchist is the perfect answer when you aren't sure whether you're in the mood for the flavour of a hard candy or a soft candy. White by Anarchist eLiquid | 25ml & 100ml Short Fill - Once in a while, do you like to enjoy a s'more without the chocolate? Biting into a graham cracker sandwich and tasting the marshmallow as it seeps around the edges is a real treat, and that's the experience that White by Anarchist E-Liquid captures. Green by Anarchist eLiquid | 10ml Bottles - As if cookie butter wasn't tasty enough on its own, Green by Anarchist has arrived to elevate it to a new level. This e-liquid is half cookie butter, half apple butter and 100-percent tasty. Purple by Anarchist eLiquid | 10ml Bottles - We aren't sure what about grape bubble gum could possibly inspire anarchy. If you see someone buying Purple by Anarchist, though, maybe you should look the other way. Red by Anarchist eLiquid | 10ml Bottles - Sometimes, we think that Anarchist E-Liquid might be taking their name a bit too far. Look at Red by Anarchist, for example. A strawberry hard candy? We're not sure what this e-liquid has to do with anarchy at all, but we do know that it's tasty. White by Anarchist eLiquid | 10ml Bottles - Are you in the mood to defy authority? White by Anarchist captures the flavour of a sweet, fluffy marshmallow mercilessly smashed into a harmless graham cracker. Billy Idol would be proud. Black by Anarchist eLiquid | 10ml Bottles - Here's a dessert e-liquid so decadent that you may just vape the entire bottle in one evening while you're binge watching Netflix. Black by Anarchist is a fluffy, rich cupcake topped with buttercream frosting and crumbled fruity cereal.